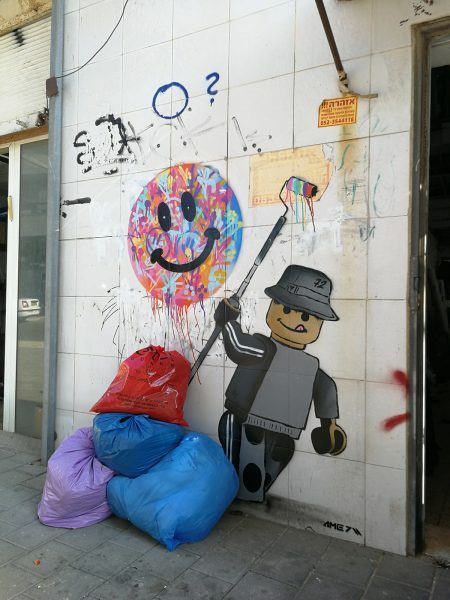 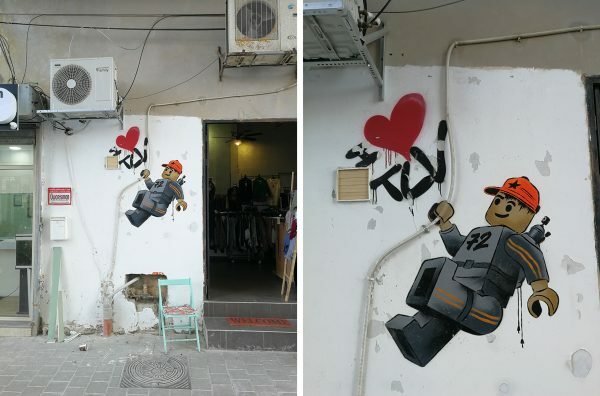 The british stencil artist James Ame (Ame72) strikes again with his iconic LEGO characters, which can be found in many districts of the israeli metropol Tel Aviv. 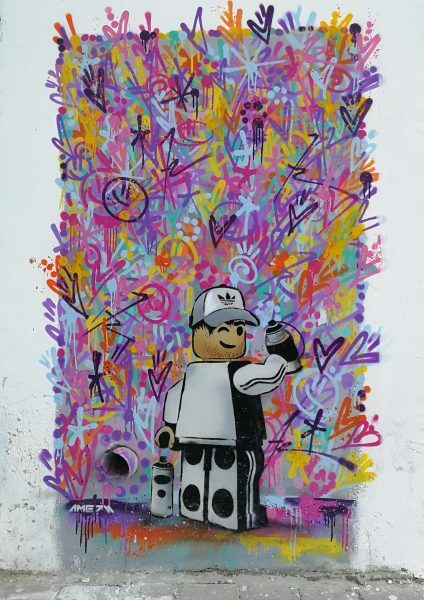 The urban pop art of Ame, also known as „The Lego Guy“, often interacts with the surroundings and stands out with its intense colors and clean sharp lines. 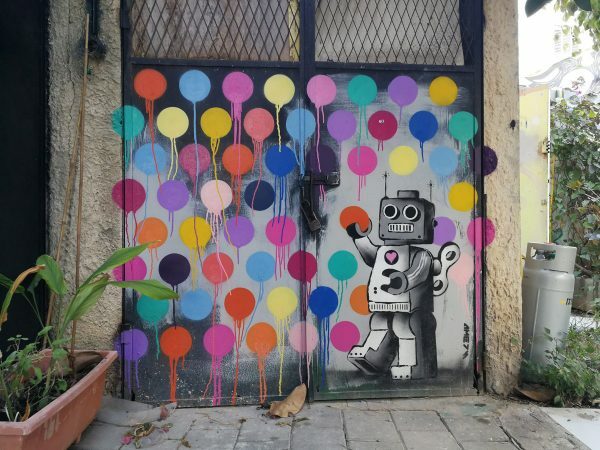 With his unique mix of style, colour and technique he transmits messages and humor regarding society’s characteristics and also reflects about things like environmental awareness, economic abundance, consumerism & commercialisation. 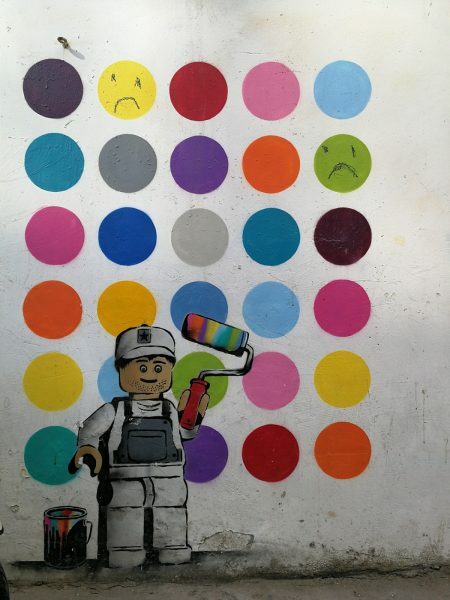 His Lego works have appeared around the world, including locations such as London, New York, Tel Aviv and Bethlehem. 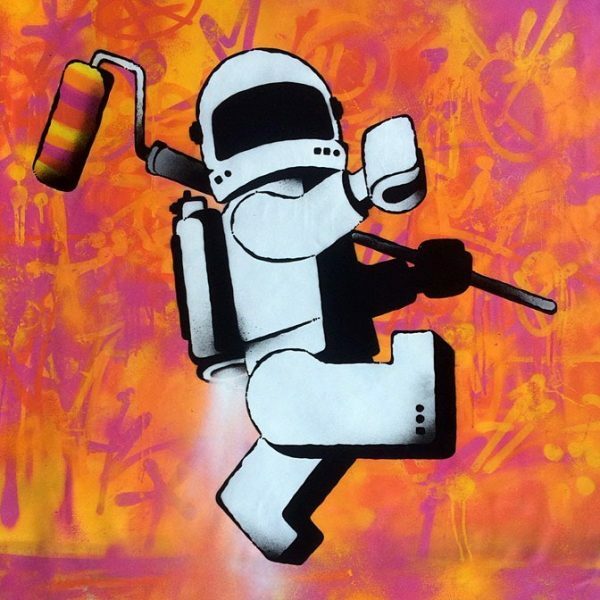 Veröffentlicht in contemporary art, Exhibitions, Graffiti, Murals, Paintings, street art, urban artBookmark the permalink.